Explore the best Wildlife National Parks and Conservation Areas Africa has to offer. We work with you to create a safari experience based on your goals and budget! Tanzania has some of the best game viewing in the world. The areas our safari packages visit include; NgoroNgoro Conservation Area, Serengeti National Park, Tangire National Park, Lake Manyara, and the Olduvai Gorge. We offer a variety of trip options ranging from 1 to 7 day packages and with adjustable lodging options to suit your budget. Our safari packages are perfect for those looking to add to their Kilimanjaro experience or travelers simply wanting to explore some of the defining landscapes and wildlife refuges Tanzania has to offer. Potential wildlife sightings include; elephants, giraffes, zebras, lions, cheetahs, rhinos, hippopotamuses, hyenas, flamingos, baboons, a variety of monkeys, and many other exotic mammals! All safari drivers are well educated naturalists and are skilled at finding the best spots to visit within the wildlife preserves. You'll enjoy up close viewings of some of Tanzania's best wildlife from a secure land rover. 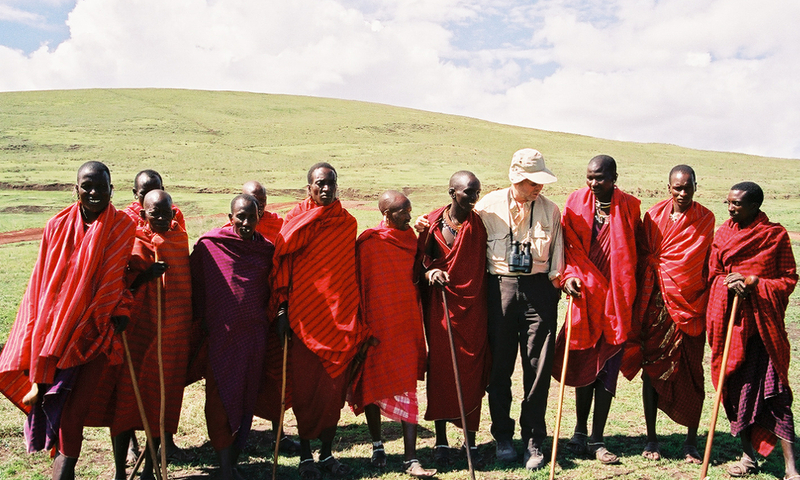 Many of the safari packages also include an interactive experience with a local Maasai village. The Maasai people are a prominent group in Northern Tanzania and parts of Kenya. Village tours demonstrate some traditional dances, what living in a Maasai village is like, and showcase some of the local arts they produce in the village, it is a great addition to the safari! All safari trips begin in the city of Moshi, located just a short drive from the parks and conservation areas offering views of Kilimanjaro, when not obscured by lenticular clouds. You'll enjoy a relaxed rest day after your long flight to get to Tanzania. Guests often opt for our guided tours of Moshi, experiencing the vibrant marketplace, historic buildings, and the opportunity to pick up souvenirs from your trip to Tanzania. The Ngorongoro Conservation Area is a huge area containing active volcanoes, mountains, archeological sites, rolling plains, forests, lakes, dunes and of course, Ngorongoro Crater and Olduvai Gorge. The views at the rim of Ngorongoro Crater are sensational. On the crater floor, grassland blends into swamps, lakes, rivers, woodland and mountains – all a haven for wildlife, including the densest predator population in Africa. The crater is home to up to 25,000 large mammals, mainly grazers – gazelle, buffalo, eland, hartebeest and warthog. The Serengeti is on of the world’s last great wildlife refuges. This vast area of land supports the greatest remaining concentration of plain game in Africa, on a scale unparalleled anywhere else in the world. The name comes from the Massai ‘Siringet’, meaning endless plains. Equal in size to Northern Ireland, the Park contains an estimated three million large animals, most of which take part in a seasonal migration that is one of nature’s wonders. The permanent water supply of the Park means that during the summer, the animal population here rivals that of the Serengeti with wildebeest, zebra, eland, elephant, hartebeest, buffalo, gerenuk, fringe eared Oryx and flocks of birds of many different species. Prime game viewing months are between September and December. Hemingway describes Lake Manyara National Park’s magnificent hunting country in “The Green Hills of Africa”. Mahogany, sausage tree and croton are alive with blue monkeys and vervets. Elephants feed off fallen fruit while bushbuck, waterbuck, baboons, aardvark, civet, the shy pangolin and leopard as well as the black rhino, all make their home in the forest. Olduvai, more accurately called Oldupai after the wild sisal in the area, is the site of some of the most important fossil hominid finds of all time – “Nutcracker Man” or Australopithecus boisei who lived 1.75 million years ago – by Leaky. There is a small informative museum located at the visitor center. The gorge is a treasure trove of archaeological sites filled with fossils, settlement remains and stone artifacts. Lecture tours are offered! Springlands Hotel – Enjoy luxurious accommodations before and after your trip. The Springlands hotel features a swimming pool, bar, lounge area, and buffet style meals served three times a day (breakfast included with your stay). 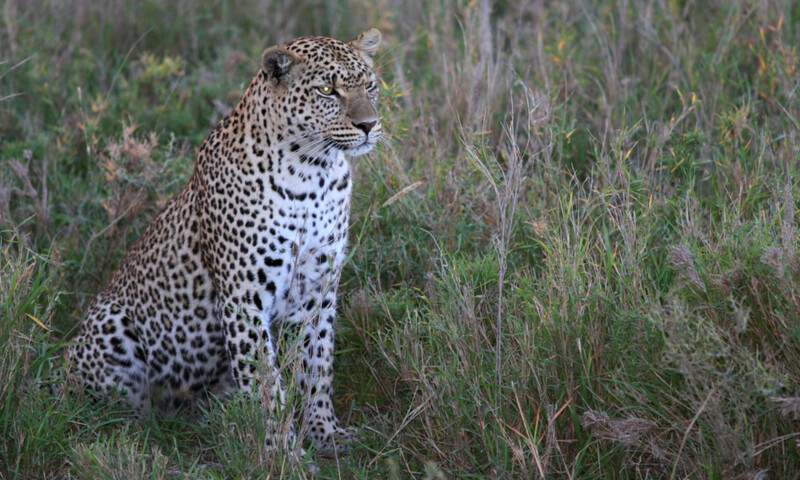 Lodging while on Safari – This varies dependent upon itinerary length. We offer 1, 2, 3, 5, and 7 day itineraries. Multi-day safari lodging ranges from camping accommodations to luxury lodge stays, please note that "camping" options include lavish tents complete with showers and a comfy bed. For more information about the various lodging options see Safari Options 2018 and don’t hesitate to contact us with any questions! Day 1: Drive to and tour highlights of Arusha National Park. Day 1: Drive from Moshi to Lake Manyara, picnic lunch. Afternoon game drive in Lake Manyara and camping near lake. Day 2: Drive to Ngorongoro Crater. Half day game drive at crater, then head back to Moshi in late afternoon. Day 2: Morning game drive, mid-day visit at a Massai village, evening game drive. 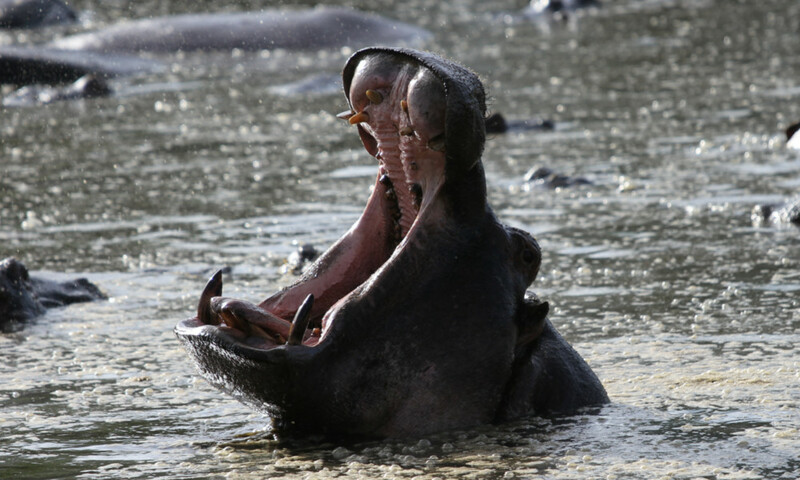 Day 3: Visit Lake Manyara National Park and head back to Moshi late afternoon. Day 1: Drive 3-4 hours from Moshi to Lake Manyara, picnic lunch. Afternoon game drive in Lake Manyara. Day 2: Early morning drive to the Serengeti with lunch boxes. Afternoon game drive around the Seronera area. Dinner and overnight. Day 3: Full day game drive in Serengeti, lunch boxes at Visitor’s Center. Day 4: Drive Serengeti to Ngorongoro with game drive en route. Optional visits to the Olduvai Gorge and Masai village. Day 5: Morning game drive in Ngorongoro Crater. Afternoon, return to Moshi via Mto Wa Mbu and Arusha. Day 1: Drive from Moshi to Lake Manyara, picnic lunch. Afternoon game drive in Lake Manyara. Day 2: Cultural tour/hiking in Karatu area, overnight Karatu. Day 3: Drive to the Serengeti. Afternoon game drive around the Seronera area. 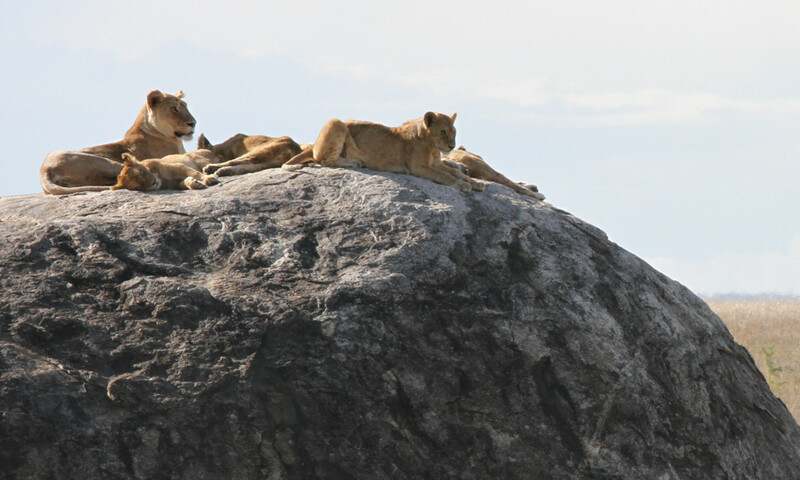 Day 4: Full day game drive in Serengeti, lunch boxes at Visitor’s Center. Day 5: Drive Serengeti to Ngorongoro with game drive en route. Optional visits to the Olduvai Gorge and Masai village. Day 6: Half-day game drive in the Ngorongoro Crater. Dinner. Day 7: Tarangire, morning game drive. Afternoon, return to Moshi via Mto Wa Mbu and Arusha. Our safaris utilize private jeeps and drivers that make it possible to go at our own pace. Please contact us if you have any questions, or, if you would like any additional information regarding our safaris. to accompany safaris. This job is better suited for our exclusive group of local safari drivers. What is the weather like in the Parks? The Land Rover vehicles have ample storage in the back for suitcases/duffels, we recommend limiting your extra clothing and items to 1 suitcase per person. It is a great idea to bring a small bag or backpack for items like a SLR camera and water bottle, which you'll want to have frequent access to in the front passenger area. Depending on what package you select, the lodging will range from glamorous canvas tents (camping option) to luxurious lodges with beautiful vistas. All packages feature basic amenities including a comfy bed, shower, and ample space to stretch out and relax after the day's game drive is over. The safari exceeded my expectations, our driver was very knowledgeable and great at finding wildlife without getting so close that we disturbed them. I climbed Kilimanjaro with my guide John, then my wife and son joined me for the safari. It was an amazing time and something we won't soon forget!